Visiting a doctor at least once a year for a complete physical is an effective way to ensure you are in good overall health. Unfortunately, illness and injury often force people to visit one of the country’s 7,100 urgent care centers or hospital emergency rooms. Those visits are unavoidable, expensive, and time-consuming. But there’s another option. You can now talk to a doctor online to get guidance and help with healthcare issues. 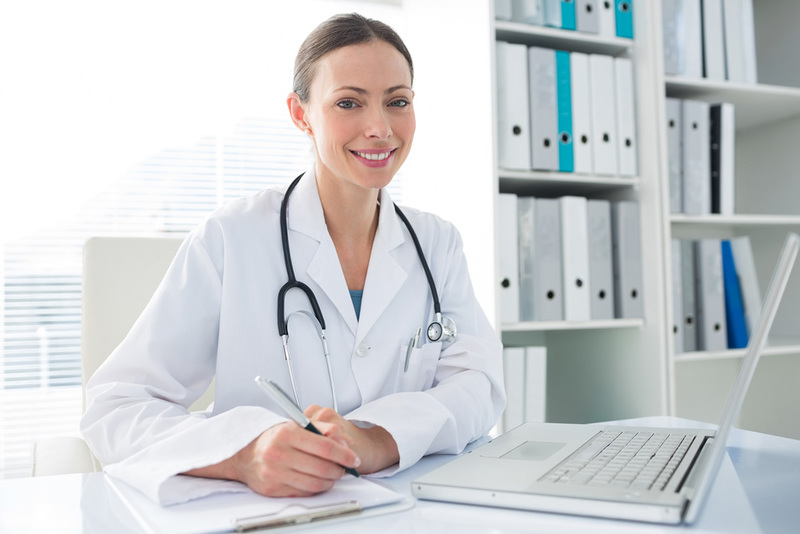 Having an online chat with a doctor offers many excellent benefits. Consulting with a doctor online about your medical condition can be done in a matter of minutes. That’s much faster than traveling to a doctor’s office or medical facility to get help. Just traveling there can take over an hour. It may take another hour to register and wait your turn to see the doctor. With Chat Live MD, within minutes you’ll be speaking with a medical professional who can listen to your symptoms and offer you a viable solution. When you consult with a doctor online, you can do so from the safety of your home. Visiting a doctor often means dealing with the stress of sitting in a crowded waiting room. Plus, being around a crowd of sick people increases your susceptibility for contracting catheter-related urinary tract issues, surgical and other types of infections. Sitting in a crowd full of coughing and sneezing people also increases your chances of picking up a cold, the flu or some other type of contagious illness. People have access to online doctor consultation services 24/7. You to speak with a doctor any time its convenient for you without interrupting your schedule. You can also communicate online with a medical professional no matter where you are. This eliminates the need to visit a doctor unless there’s a medical emergency. Many people would also feel more comfortable talking about their symptoms with the doctor from the privacy of their own homes. It enables them to talk more freely about what ails them and how they feel. Many people prefer an online doctor chat because it eliminates location boundaries and the need to deal with traffic, parking or public transportation hassles. With a few clicks of a mouse, people have the opportunity to consult with a wide array of trained, experienced medical professionals. Online access to doctors eliminates the most challenging barriers preventing people from being able to get quality medical opinions and input on their health care needs in a timely manner. This is particularly helpful for people living in rural communities or far from populated areas. Having to travel to a doctor’s office to get or renew a prescription can be a time-consuming, expensive, unnecessary, hassle for many people. They end up spending hours traveling to and from the doctor, only to spend 5 minutes for them to scribble down a prescription. Online doctor visits eliminate this problem. The doctor can quickly assess the patient’s condition, decide on the best prescription and send the script to a conveniently located pharmacy near the patient’s home. Within minutes the patient can be taking the medication rather than traveling to the doctor’s office for a prescription for their birth control pills or asthma or allergy medication. Many people turn to the internet to find information on symptoms they may be suffering and what can be causing it. While some medical articles and blogs can be helpful, gathering vague, often confusing information from random websites can lead countless people to misdiagnose their conditions. As a result, they can take actions and medications that can hurt rather than help them. Being able to speak with a trained, experienced, medical professional online can eliminate confusion and get the patient accurate information and diagnosis they can use to understand what is wrong and how to heal it. Online doctors cannot examine you themselves. Instead, you are their eyes and hands. They tell you what signs to look for, teach you how to palpate swollen lymph nodes, examine inflamed tissue and identify other signs and symptoms of illness and injury. This leaves many people more knowledgeable about their bodies and teaches them valuable techniques for analyzing their health. Overall, working with a doctor online makes people better informed about potential symptoms of health problems and how to examine themselves and monitor their health. This makes them better prepared to help themselves and others. With the high and rising cost of health care, being able to go online and ask a doctor free or low-cost questions about your health can be a lifesaver. For a growing number of people, online doctor consultations are an affordable way to get some valuable insight into their health and well-being. The few dollars they have to pay to gain access to ask a doctor online a few key questions about symptoms they may be concerned about is a simple, cost-effective solution to address a potentially expensive and life-threatening condition. An online doctor can help you understand if your condition is serious enough that you should get to a medical facility right away. Many people cannot afford to purchase health insurance or pay hundreds of dollars for a doctor’s visit. For a growing number of them, spending a few dollars to speak with a doctor online for a few minutes to talk about their symptoms and their concerns serves as a lifeline. This is also true for people who live far away from medical facilities. For a few dollars, they can get an expert medical opinion on the seriousness of their health condition and trustworthy advice on what action they should take next. Whether it is a bruise that is taking a long time to heal, cough and cold that you just can’t seem to shake or an unexplained pain you have been having recently, everyone has health issues that concern them. However, the average person doesn’t have the time, finances or freedom to rush to the doctor’s office or the emergency room to get a professional opinion. So these things linger and give the person a frightening sense of foreboding and unease. Being able to go online and have an almost free doctor chat can solve the mystery and give you peace of mind. Even people with the most comprehensive, expensive, health care plans and the freedom to visit a doctor whenever they please, sometimes need a quick, trustworthy, medical opinion. The ability to ask a doctor online a quick question about their health can be helpful to them. In fact, almost anyone can benefit from the ability to log on to their computer or get on their smartphone and speak with a doctor online for a few minutes should the need arise. Unless there’s some amazing technological breakthrough, online medical consultations won’t completely replace traditional examinations. However, online consultations will play an important role in the modernizing healthcare, reducing the overuse of emergency rooms for non-urgent care conditions, assist with doctor shortages, make health care more accessible in rural areas, and make common, treatable conditions more affordable.